Inspection Certification Associates’ Real Estate Inspection Certification Program is widely recognized as being the best and most thorough Home Inspection Training Course available anywhere. When you compare ICA to the competition, it’s easy to see why. 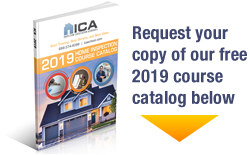 We’ve put together the largest library of reference materials to be found anywhere in the home inspection training industry. 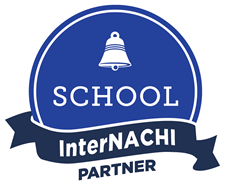 Our students and graduates will always have all the information they need to build and grow a successful residential and commercial building inspection business at their fingertips. Since the library is online, the materials are available 24/7 using a PC, smartphone, laptop or tablet. What’s more, our training and reference materials are constantly being updated to incorporate the latest industry trends and techniques. Through ICA’s Home Inspection Classes, you’ll be trained and certified to the exacting standards of American Society of Home Inspectors (ASHI). The commercial portion of our training will prepare you to inspect commercial buildings in accordance with American Society for Testing and Materials (ASTM) guidelines. You’ll also be qualified to perform radon testing, mold inspections and even examinations for compliance with various municipal codes. When you train with ICA, you’ll receive all this and more for a one-time tuition payment of just $695! After you complete ICA’s Real Estate Inspection Online Certification Program, you’ll have met the home inspector licensing requirements for just about every state in the U.S. You’ll also be qualified to begin conducting real life home inspections. Don’t just take our word for it—here’s what our graduates say about Inspector Certification Associates’ Home Inspection Training. Start your way toward a new and rewarding career as a Certified Home Inspector by enrolling in ICA’s home inspection training program today. You’ll be glad you did!